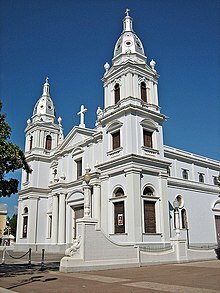 This is a list of properties and historic districts that are listed on the National Register of Historic Places (NRHP) in Puerto Rico. There are 345 NRHP listings in Puerto Rico, with one or more NRHP listings in each of Puerto Rico's 78 municipalities. Wikimedia Commons has media related to National Register of Historic Places in Puerto Rico.